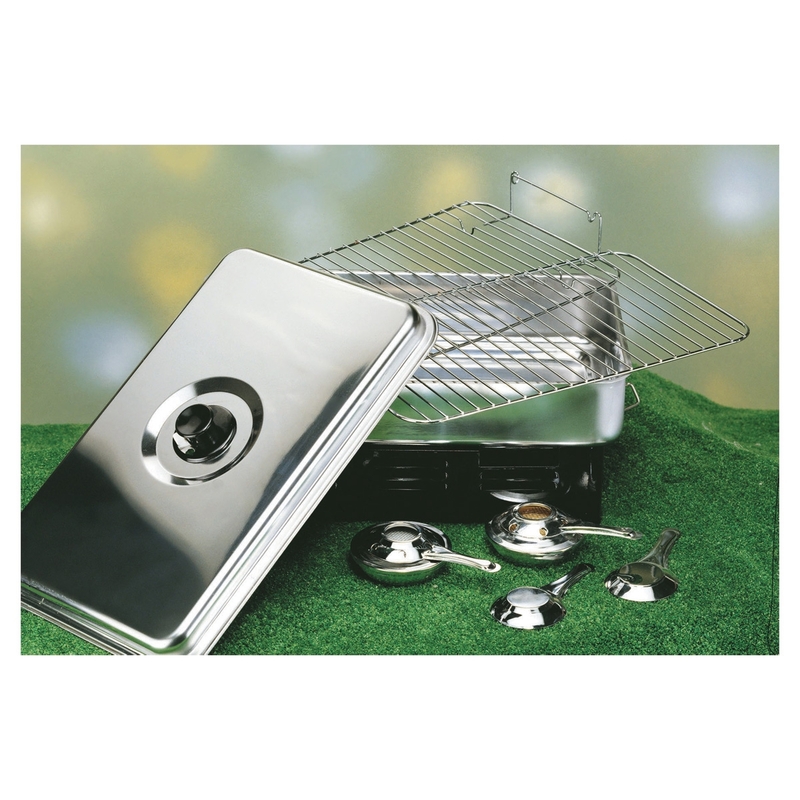 A generously sized Hot Smoker/Cooker constructed in Stainless Steel for easy cleaning and long life. Will take four or five small Trout, or two large fish, headed and tailed. Complete with stand, two fuel pans with heat adjustment, cooking pan, lid with adjustable smoke vent, drip tray and grill. Packs away neatly inside its own stand for convenient storage. Quick and efficient hot smoking of fish, meats, poultry etc., cooks and smokes in one process, so smoked fish is ready in as little as 15 minutes. Uses methylated spirit fuel (not supplied).